The Pratt Family….and all they got was a street named after them. Pratt Street is located between Genesee Street and William Street on the near East Side. Pratt Street was the location of the Iroquois Brewery. Iroquois was the longest operating brewery in Buffalo, starting as the Jacob Roos Brewery and operating from 1830 until 1970. According to Courier Express – “there have been so many prominent members of the Pratt family, even their descendants aren’t sure which one Pratt Street is named after”. I am going to go into the lives of six of the Pratts today…but there were many members of the Pratt family that contributed to early Buffalo and beyond! The first Pratt to settle in Buffalo was Captain Samuel Pratt. Samuel Pratt was born in East Hartford, Connecticut. His family moved to Vermont while he was a child. During the Revolutionary War, he joined the 3rd Company, 8th Regiment, Huntington’s brigade. In 1801, Captain Pratt went to Montreal and led an expedition through the forests from Montreal to Buffalo. He was convinced that Buffalo had an opportunity for future greatness, went home to New England to bring his family to settle in Buffalo. Samuel, his wife and eight of their children arrived via a carriage followed by two wagons. It was the first carriage ever seen in what would become Erie County. They arrived in Buffalo in 1804, when there were only a dozen houses here. To get an idea of what Buffalo looked like when they arrived, you can visit the Pioneer Gallery at the Buffalo History Museum. The first lodging for the Pratt family was at Crow’s Tavern, a replica of which is set up in the museum’s exhibit. Samuel Pratt established a store and took a leading role in matters of public improvements He did a large share of trading between the whites and Native Americans, trading furs for flour, salt and other food. He first built a log cabin for his family on the Terrace. His store prospered and he built the first frame dwelling in Buffalo. He hired a cabinet-maker from Vermont to build furniture for his home out of the black walnut that grew in the forests of Western New York at the time. The Pratt family had the first carpet in Buffalo, shipped in from Boston. The house was located at the corner of Main and Exchange Streets. In addition to his store, Samuel was one of the first to introduce public worship to Buffalo and was a pioneer in the education of Buffalonians. Captain Pratt died on August 31, 1812 and was survived by nine of his ten children. Hiram Pratt, the fifth of Captain Pratt’s eight children, was Mayor of Buffalo between 1835-1836 and 1839-1840. Hiram was born in Vermont in 1800 and came to Buffalo with his family as a child. 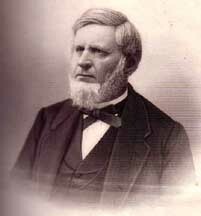 Hiram was close with Dr. Cyrenius Chapin, an early citizen of Buffalo due to Dr. Chapin having lost a son at an early age. During the burning of Buffalo by the British, Hiram aided his neighbors to help flee the fire. He helped Dr. Chapin’s daughters to safety at a farm in Hamburg. He was involved in Dr. Chapin’s general store and a partner in a warehouse business with Asa Meech. He later founded Bank of Buffalo, which built some of the earliest Great Lakes steamers and contributed to much of the development of Black Rock. Hiram was elected Mayor of Buffalo in 1835, on the Whig party, which was the party of many of the 15,000 Buffalonians in the 1830s. Hiram owned a large area of land on Porter Avenue, bounded by Seventh and Connecticut Streets and Prospect Avenues. He gifted the land that to the City of Buffalo. He built a mansion on the property, but never lived in it. The land is now Prospect Park. Hiram and his family lived in the house on the corner of Swan and Center Streets. Hiram died in 1840 and is buried in Forest Lawn. Captain Samuel Pratt’s oldest son was Samuel Pratt, Junior. Samuel Junior was born in Hartford Connecticut and did not accompany his parents to Buffalo at first. He arrived in Buffalo in August 1807 to help his father’s business. He quickly found other interests in Buffalo and became Sheriff of Niagara County in 1810. At the time, Niagara County included the land that would become Erie County. During the War of 1812, Samuel Junior joined the army. He bravely defended the Village when Buffalo was attacked in December 1813 by the British. Samuel Junior died in 1822. Samuel Junior had four children. Samuel Junior’s oldest sun was Samuel Fletcher Pratt. Samuel Fletcher was born in Vermont in 1807. Soon after his birth, he came to Buffalo with his parents. In 1822, he entered into the hardware business with George and Thaddeus Weed, forming George Weed & Company. 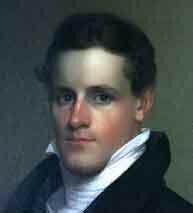 Mr. George Weed died in 1828 and the business became Weed & Pratt. 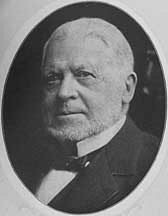 Samuel Fletcher continued the business for many years, eventually bringing in his brother Pascal, establishing the store as Pratt & Company. In 1845, Samuel Fletcher and Pascal founded the firm of Pratt & Letchworth with William Letchworth, making saddles and hardware for horses. In 1848, Samuel Fletcher helped to organize the Buffalo Gas Light Company and served as President until his death. He was often asked to run for Mayor, but Samuel Fletcher always declined. In 1851, he was one of the founders of the Buffalo Female Academy. He was a member of First Presbyterian Church. Samuel Fletcher died on April 27, 1872. Samuel Junior’s second son was Lucius Pratt. Lucius was born in Buffalo in 1809. Lucius was a Great Lakes shipping merchant and owned a warehouse on the River at the Pratt Slip. He was married to Cynthia Weed, who died in 1843. He then married Susan Beals in 1844. Lucius and Susan had six children between 1845 and 1854. Lucius and his family lived at 159 Swan Street. The house was built around 1835 of land that was originally deeded to Captain Samuel Pratt, Lucius’ grandfather. At the time, Swan Street was one of the social centers of Buffalo. The house was purchased by Benjamin Fitch in the 1870s after Lucius’ death. Fitch then donated the house, following urging from Maria Love, to the Charity Organization Society of Buffalo. The Fitch Creche was located in the house, opening on New Year’s Day 1880. The Fitch Creche was dedicated to providing nursery care and education for children of working mothers. It was the first kindergarten in the Country! The program developed at the Fitch Creche was emulated in other cities across the country. Unfortunately, the building was demolished in 1998. Samuel Pratt’s youngest son was Pascal Pratt. Pascal was born in Buffalo in 1819. He was educated in local schools and went to Hamilton Academy (now Colgate University) and Amherst College. He learned the business trade at his brother Samuel Fletcher’s store. He was made a partner in Pratt and Co and eventually in the firm of Pratt and Letchworth. Pascal founded the Buffalo Iron and Nail Company, the Fletcher Furnace Company and the Tonawanda Furnace Company all in 1857. Pascal was considered to be progressive and publicly boasted about Buffalo being a good place for manufacture and brought many residents to Buffalo in order to work at his companies. He encouraged his friends to invest in the young city and was a strong force for the industrial development of the city. In 1856, Pascal founded Manufacturers and Traders Bank (M&T). He also was a director of three other banks – Bank of Attica, Bank of Buffalo and Third National Bank. Pascal was the largest contributor to Buffalo’s original YMCA building and the first president of the Y’s Board of Trustees. He was vice-president of the Civil Service Commission and of the Buffalo Street Railroad Company He was involved in other cultural and philanthropic organizations including Buffalo Seminary, State Normal School (Now Buffalo State College), North Presbyterian Church and Buffalo Orphan Asylum. Pascal has been called father of the Buffalo Parks System. He was chosen as a member of the Park Commission of Buffalo in 1869 and served the commission for a decade. He was one of three commissioners appointed by the Supreme Court to assess the value of the Niagara Falls property that is now the State Reservation (state park). He was a charter member of the Buffalo Club and active in the Ellicott Club and Country Club. Many members of the Pratt family are buried in Forest Lawn Cemetery. Stop by and visit them sometime to say thanks to this pioneer family that shape Buffalo’s early history. “Memorial and Family History of Erie County, New York”, Volume 1. The Genealogical Publishing Company, Buffalo, 1906. Rizzo, Michael Through the Mayor’s Eyes. Old House History: Buffalo NY, 2005. Conlin, John. “A last look…159 Swan”. WNY Heritage Magazine. Fall 1998. It’s amazing how one family can contribute so much to a city.. what a shame that they are not more well-known throughout the community and that their legacy lies in a street name. I know, it is a shame! It’s one of the things I love about my blog is that I’m having a chance to expose some of our history that is directly embedded into our streets. So many streets I have driven on every day and never even realized they were named after someone so great!